Walter Brennan (1894 – 1974) was one of the most popular character actors of the twentieth century. Often playing the movie sidekick to stars like John Wayne and Gary Cooper, Brennan was a favorite of directors like Howard Hawks. The winner of three competitive Academy Awards for best supporting actor, he was as popular with movie audiences as some of the top-billed stars he worked with. In the late 1950s, Brennan would become a television icon as Grandpa Amos McCoy on the comedy series The Real McCoys. Brennan was born in Lynn, Massachusetts toWilliam John Brennan and Margaret Elizabeth Flanagan, both Irish immigrants. He was raised in nearby Swampscott, the second of three children. He had an older brother William Irvin and younger sister who died two days after her birth. Raised as a strict Roman Catholic, Brennan would attribute much of his success to his faith. As a young man, Brennan thought his family favored his older brother. He was not interested in academics, but he caught the acting bug while in school. By the age of fifteen he was performing in vaudeville. He enlisted in United States Army, serving as a private in France during World War I. After the war with some financial setbacks during the Great Depression, Brennan tried his hand at acting in 1925. He toiled away as an extra and bit part player, mostly uncredited, for years. He was able to survive the advent of talking pictures and hit his stride in the late 1930s. His role as Swan Bostrom in Come and Get It (1936) earned him his first Academy Award and cemented his popularity with the public. As a character actor in Hollywood, Brennan was earning a salary that was comparable to the stars he supported. As a supporting player, he never had to worry about carrying a film and if it bombed, it wasn’t his fault. His notices were almost always good, even in bad pictures. Brennan won two more Academy Awards for Kentucky (1938) and The Westerner (1940). 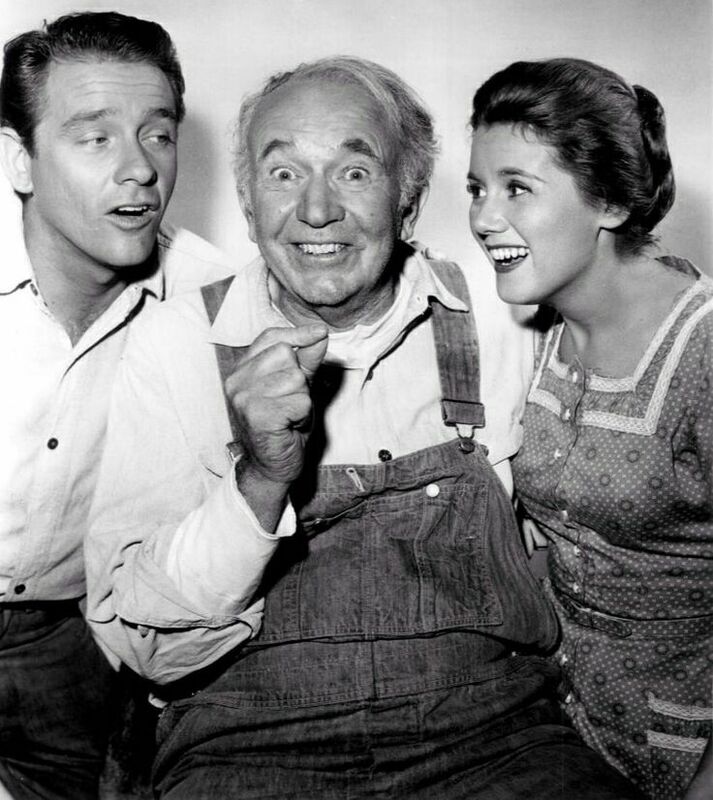 He was also nominated for his performance as Pastor Rosier Pile in Sergeant York (1941), losing to Donald Crisp for his performance in How Green Was My Valley. The list of classic movies that Brennan appeared in seems endless: Northwest Passage (1940), Meet John Doe, Swamp Water (1941), The Pride of Yankees (1942), To Have and Have Not (1944), My Darling Clementine (1946), Red River (1948), Bad Day at Black Rock (1955), Rio Bravo (1959), How the West Was Won (1962), and Support Your Local Sheriff! (1969). Biographer Carl Rollyson explores Brenann’s life and career with a respect for the performer’s talent and his character as a human being. According to Rollyson, Brennan was a relatively modest man, even when he became highly successful. Always grateful for his good fortune, Brennan was never showy or extravagant. He never forgot his humble beginnings in Swampscott. Rollyson does an exhaustive review of most of Brennan’s film and television roles. He also offers quotes from the many actors who worked with Brennan, including his Real McCoy costars Richard Crenna and Kathleen Nolan, James Garner, and Angie Dickinson. Walter Brennan’s career is like a history of the entertainment business. He started out in silent films, made the transition to talkies, and conquered television. Brennan even had several best-selling record albums and singles. 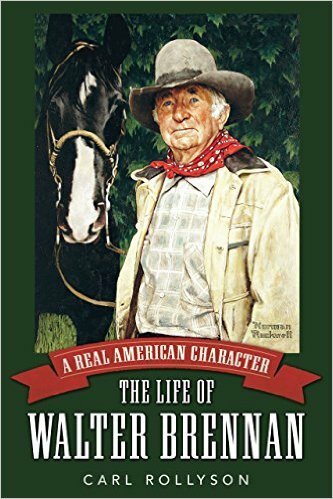 Walter Brennan was truly a real American character.